Toyota's 2010 capacity: 9.31 million vehicles. It takes Toyota two years to develop a car compared to four to six years for other companies. Amazingly different models can be produced on the same assembly line. The Toyota Production System, (TPS) was described by an MIT study as “the Machine That Changed the World.” It aims to eliminate waste, reduce defects, maximize flow, and increase efficiency and productivity by employing a "unique production system that cuts costs through continuous improvement, yielding sharp reductions in product development and manufacturing lead times.” The use of the "platform team" approach unites managers in disparate areas. Toyota factories are highly automated. They feature electrified paint baths and computer guided driverless carts that deliver parts. Each worker has the power to shut down the assembly line if a defect is found, with the defect being corrected when it is found. Under the old Western method, defects were repaired later. 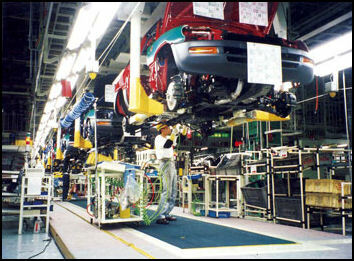 In 2005, Toyota was named North America’s most efficient manufacturing operation by the closely-watched Harbour Report. It takes the company just 27.9 hours to produce the average car or truck. By contrast GM, Ford and Chrysler take between 34 and 37 hours to make a vehicle. Toyota keeps getting more efficient and productive. Using impute from workers in eight countries, the development time for the latest Camry was 17 months compared to 23 months for the previous model. The Toyota plant in Kentucky that makes it needed only 15 days to retool to rather than 45 days for the previous model. Toyota is trying hard to cut cost in face of rising cost for steel and other materials and increasing competition. Even before the global financial crisis in 2008 and 2009 it was trying to cut costs by $3 billion a year, a process likened to squeezing moisture from a dirty dusting cloth. In January 2011 Toyota opened a new plant to make compact cars in Ohira, Miyagi Prefecture---its first new Japanese plant in 18 years--- only to have it shut down a few weeks later by the earthquake and tsunami in 2011. Miyagi Prefecture was hit hard by the disaster. Toyota’s also employs a “lean manufacturing system”--- in which lots of small improvements and cost cutting are done all the time---and corporate “kaizen” culture---the widespread use of suggestion boxes and cash rewards at all levels of the company. Workers are strongly encouraged to submit ideas to these suggestion boxes. If they don’t they are regarded as lazy. Jidoka (“automation with a human touch”) was another important production concept pioneered by Sakichi Toyoda. Saporito wrote in Time: “Think of it as built-in stress detection. At Toyota that means works stops when a problem occurs. (Any employee can pull a cord to shut down the line if there is a problem). 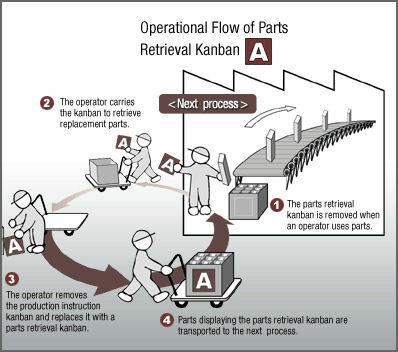 Toyota's "just in time" (kanban) production system revolutionized the car industry. The concept behind it is that a company can save money on parts and components---by not have having to store them--- if they are delivered to the assembly line just in time to be installed on the car as it is being built. Before the kaban system was invented upstream parts suppliers decided how many parts to manufacture based on their own predictions. The system got its name because orders were initially written on kanban?billboards---that notified suppliers of the number of parts they needed. For the system to work well suppliers had to provide parts quickly. Today Toyota and other car makes use electronic systems instead of billboards. Parts are mostly delivered by rail or road. Long term deals are struck with suppliers to maintain stability and allow the car makers and suppliers to jointly “design in” parts from an early stage to cut costs for makers an increase profits for suppliers. The closure of an auto parts plant that made piston rings in Kashiwazaaki in Niigat affected the production of engines outside the region and that in turn affected the making of cars, and caused all 12 Japanese car makers to shut their production lines. The plant, owned by the Riken Corp., makes 50 percent of the piston rings for the Japanese market The rings are made to very precise specifications. Bringing in other manufacturers would require Riken to reveal production secrets. Japanese auto production fell by 120,000 units. Toyota alone had to suspend operations at 30 plants because of the piston ring shortage. The automakers dispatched a huge number of employees to the Riken plant to get the plant back in operation, a goal that was achieved in less than a week after the earthquake. A number of other factories and businesses were also affected. Many Toyota models shares parts. If there is a problem with these parts large numbers of vehicles have to be recalled. early Toyota loom employees Toyota has 250,000 workers scattered around the world. It employs a domestic workforce of 66,000 people, with 90 percent of them in the Nagoya area. Toyota needs 2.73 workers to make a vehicle per day at its factories in the United States (1999), compared to 2.46 for Honda, 2.52 for Nissan, 2.97 for Ford, 3.04 for General Motors and 3.20 for Daimler-Chrysler. One study found that Toyota workers are twice as productive as Volkswagen workers and 30 times more productive than Russian workers. It takes 15 man-hours to produce a Toyota, compared to 450 man hours to make a Russian car. Toyota factories are filled with large banners that feature the corporate motto "Good Thinking, Good Products." 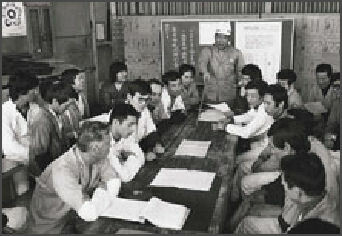 The kaizen suggestion system is used. There were 600,000 kaizen suggestions in 2003 alone. In 2007, Toyota’s union demanded a ¥2.58 million annual bonus for its workers. As rule the unions are regarded as acquiescent in wage negotiations and “worthless” by many Toyota workers. Toyota adds about 3,600 new employees every year. Worker training is very systemic and thorough. Each task is broken into small steps that the slowest learner can master. 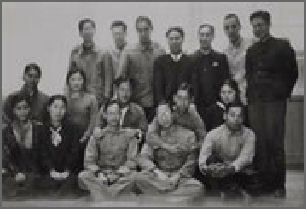 Workers attended lectures, do exercises, study videos and practice on mock assembly lines. At a center for teaching Toyota production methods, workers from all over the world learn bolt-tightened by moving rhythmically to a metronome and told if the sound is metallic they are tightening the bolts too hard. They improve their painting skills by spraying water in front of a one-way mirror with a camera, and later watch videos of themselves. Honda and Toyota send new college-educated employees to work on assembly lines for several months after they are hired. The National Labor Committee, a U.S. human rights advocacy group, accused Toyota of human rights violations in a report called “The Toyota You Don’t Know.” The report accused Toyota of 1) engaging in human trafficking, 2) forcing workers to work in sweatshop conditions, 3) importing labor from China, Vietnam and Brazil to work for low pay, and 4) pressuring workers to work overtime without compensation, a practice known by the euphemism “service to the company” at Toyota. These days, 40 percent of Toyota’s workers are on temporary contracts. They are barred from joining the official union and can easily be laid off. In Toyota City there is a large community of Brazilians, most of them Japanese-Brazilians, that supply cheap labor. They don’t work in the Toyota factories but are used by several Toyota suppliers. They mostly live separated from the rest of the town on in a sprawling housing complex called Homi-Dachi. Toyota runs its own high school, the Toyota Technical Skills Academy in Aichi, where students are given training in math and science geared specifically for the needs of Toyota and prepared to be supervisors in the mechanical, machining and technical fields at the heart of the Toyota operation. Founded in 1938, a year after Toyota itself was founded, the school is expensive to run but Toyota says in the long run it saves money in training costs. The school has 300 students. Each year to accepts about 70 fifteen-year-olds who automatically become Toyota employees when they enroll. Tuition at the school is free. The students receive up to $17,000 a year in stipends. Most of the training is done on site by future supervisors with a teacher present. The teacher employ the Socratic technique of asking questions to find the answers. As part of their physical training students have to run a half marathon, swim two hours in the sea and hike up a 3000-meter-high mountain. The purpose of these endeavors is to weed out quitters. Toyota is truly a global automobile giant. It makes cars in 52 plants in 26 countries and regions and sells them in 160 countries, racking up annual global sales of more than $200 billion. Toyota sells 80 percent of it vehicles outside of Japan and has traditionally made about 70 percent of its profits in North America. In 2006, overseas production topped domestic production for the first time. Toyota built 43 percent of its vehicles in Japan in 2010, compared with less than 30 percent at both Honda Motor Co. and Nissan Motor Co.
Toyota became a world leader by first exporting heaps of cars from Japan and then building plants overseas. But its ride has not always been smooth. The company got off to a rocky start when it launched the Crown in the United States in 1955. The car flopped .It was incapable of maintaining high speeds on American highways and was prone to overheating. The Corona and the smaller Corolla were introduced in the 1960s with better success but the sales didn't really tale off until the Energy Crisis in 1973. Toyota builds the Camry sedan in seven countries, including Vietnam, Thailand, Russia, Canada and China. It makes Yaris and Vitzes in France and produces small cars in the Czech Republic with Peugeot. Toyota has two plants in Poland that produce transmissions, and engines. Toyota makes an effort to tailor its models to suit tastes of the countries where the are sold. Toyota sales in 2007: 1) North America, 2.82 million; 2) Japan, 1.58 million; 3) Asia, 1.32 million; 4) Europe, 1.23 million; 5) the Middle East, 480,000 6) Latin American, 370,000; 7) Africa, 370,000; 8) Oceania, 270,000. Toyota has a broad reach and has fingers in a number of pies. It is growing jatropha on Philippines banana plantations to produce biofuel.In January 2010, Toyota began selling Priuses in India. Toyota has provided Aston Martin with its iQ designs. Aston Martin will redesign the exterior and market and sell the car. in the 1960s Toyota was ranked third in the United States in sales in 2006, behind GM and Ford, with a 15.4 percent share of the United States market, up from 13.3 in 2005. It was the first time that Toyota held the No. 3 position above Daimler-Chrysler (Chrysler) for an entire calender year. Sales for Toyota were up 12.9 percent from 2005 with the sale of more than 2.54 million vehicles. Sales of revamped Camris and new Yaros subcompact and Prius hybrids was better than expected. In 2003 Toyota surpassed Ford as the No. 2 car maker in the world. It sold 6.78 million vehicles while Ford sold 6.72 million. General Motors the world No. 1 car company sold 8.59 million vehicles that year. In 2004, it was ranked by Forbes as the 8th largest company in the world. In 2003, the market value of Toyota was $84 billion, more than that of General Motors, Ford and Chrysler combined and double that of Nissan. Toyota’s rise has been faster than anyone predicted. It was the No 4 automaker in the world in 2004. Toyota cars have consistently ranked No. 1 in reliability in J.D. Powers survey. It company earns 70 percent of its profit in North America and makes a profit of about 20 percent on each car. This works out to about $1,260 per car. General Motors makes only $200 per car. In 2008, Toyota’s market share in the United States reached 18 percent, just two points behind GM, on healthy sales of the Camry, RAV4 and the Scion line-up of cars. Toyota has an engineering campus in Ann Arbor Michigan and is spending $100 million to developed a research institute in Michigan. In 2006, the Japanese president of Toyota Motors North America was forced to quit after being named in a $190 million sexual harassment lawsuit by a female assistant. The lawsuit was settled out of court. In 2009, Toyota employed 31 lobbyist and spent $5.4 million on lobbying activities in the United States, far more than any other foreign car makers. Toyota began making cars in Freemont California with GM in 1984. Both companies used the plant to make their own cars in a venture called New United Motor Manufacturing Inc. (NUMMI). Later they made cars such as the Prism. In 2006, GM and Toyota announced plan to invest tens of billions of dollars in the Freemont plant. There was some talk of Toyota forming an alliance with GM but Toyota president Katsuaki Watanabe made it clear he wasn’t interested. In December 2006, the president and top managers of Ford flew to Japan to meet with president and top managers of Toyota and discuss topics such as environmentally-friendly technology and ways that Ford could improve its manufacturing efficiency. Ford agreed to purchase Toyota hybrid technology which showed Toyota’s dominance in the market. In June 2009, GM ended its joint venture with Toyota. The two companies built 460,000 compact Pontiac Vibes at a plant in Freemont between 2002 and 2009. GM said keeping the plant and venture didn’t fit into its restructuring plans after it filed for bankruptcy. Toyota founder Eiji Toyoda began thinking about making cars in the United States after Washington began demanding export restrains. "We did not have an alternative," he said.. "My first feeling was that [in Japan] were can produce and sell the cheapest cars in the world. But I guess it was not possible." Toyota produces 2.5 million cars annually in the United States at more than a dozen plants, employs thousands of Americans and spends more than $22 billion in the U.S. on parts, goods and services from hundreds of U.S. suppliers. The number of Toyota-related jobs in the United States is estimated to be around 170,000, or at least it was before the recent waves of trouble. Toyota opened its first overseas in Georgetown Kentucky in 1988. It produces Camries, Avalons and Solaras. By 2001, it had plants in Alabama, Indiana, Long Beach and Tijuana and was domestically producing 60 percent of the 1.5 million cars it sold in North America. As of 2005, Toyota had spent $16.3 billion opening plants in North America. One survey found that the plants created more than 380,000 jobs, directly and indirectly in the United States, and produced 75 to 90 percent of its parts locally in the United States, a comparable rate to the U.S. manufacturers. Toyota Motors North America is a subsidiary of Toyota. As of 2007, it had six plants with 38,340 workers in the United States, Canada and Mexico. Among Toyota’s facilities in the United States in 2010 are 1) an Alabama plant that makes V8 and V6 engines and employs 853 people; 2) a West Virginia plant that makes 4-cylinder , V-6 engines and employs 1,098 ; 3) a Texas plant that makes Tundra trucks and employs 1,858; 4) a Kentucky plant that produces Avalons and Camrys and employs 7,365; and 5) an Indiana plant that makes Sequoia and Highlanders and employs 4,329. The opening of a Mississippi plant slated to make Priuses has been postponed. The NUMMI plant was closed in April 2010. Production of vehicles produced at NUMMI was switched to other plants. The move was not an advantageous one politically in that the district of House Majority leader Nancy Pelosi lies a short distance from the plant across San Francisco Bay. It employed 4,519. Toyota opened plant in San Antonio Texas in November 2006 to build gas-guzzling Tundra pick-up trucks and another plant with a capacity of 100,000 vehicles in Woodstock Ontario in 2008 to make gas-guzzling SUVs. The San Antonio plant was a big gamble. Executives within the company debated about the move for years and in the end decided to approve it so Toyota could make the same kind of hefty profits per vehicle that Detroit was making with its pick ups. When the trucks began rolling off the assembly line the project already looked like a dog. Costs had soared to $1.6 billion---60 percent over budget. The plant was so far from its supplies an expensive parts hub had to be built. The truck was introduced just as gas prices began to really soar and the U.S. economy was slowing down. In 2008 sales were 25 percent below goals, inventories ballooned and production was shut down for several months. In January 2007, Toyota said that was considering building five more plants in North America over the next 10 years to keep up with demand and address accusations that its was importing too many cars from Japan rather than building them in the United States, with fairly concrete plans for ones in the southeastern United States and in Mexico. Toyota has a 5.7 percent market share in Europe (2005) and produces cars at factories in Britain, the Czech Republic and France. Toyota produced 370,000 vehicles in Europe in 2002. Of these 222,000 were built at their plant in Burnaston, England. In 2003, sales in Europe exceeded 800,000 vehicles. Toyota now manufactures cars in dozens of countries. It has a large factory near Bangkok and opened its first plant in China in 2002 with its partner there, FAW Group. Toyota plans full-fledged entry into the South Korea market in 2009and plans to start making Camry hybrids in Australia from 2010. Production in India is scheduled to start in 2010, with production on Brazil starting a year later. Toyota is doing very well in Asian markets but is behind rivals in China. It hopes that expansion in India, China and Brazil will offset shrinking demand on North America and Europe. To appeal to local markets, Toyota is producing cars which run on bio-ethanol in Brazil and cars with diesel engines in Europe and producing very small cars with excellent gas mileage in India. In the fall of 2010, when the yen was near all time highs, Toyoda said, “Logically, it doesn’t make sense to manufacture in Japan. But I worry about what would happen to this country, which largely depends on manufacturing, if Toyota scaled back domestic production. Toyota started producing Priuses in Thailand in 2010. Because most of them are made in Japan getting supplies to the cars to the United States after the earthquake and tsunami in 2011 was a problem. It wasn’t until later summer 2011 that supplies were able to meet up with demand. Toyota was very slow to get off the mark in China. It opened its first plant in China in 2002. That year it had only 1 percent of the Chinese market but had aggressive plans to expand tenfold and get 10 percent of the market by 2010. In 2003, Toyota had only a 2 percent share. Toyota sold 183,500 vehicles in China in 2005, only 3 percent of the market. It aims to sell 1 million vehicles in China by 2010. Many predict it will eventually be the No. 1 automaker in China. Toyota has a 50-50 partnership with Tianjin Automobile Xiali Corporation. It broke ground in 2001 on a $100 million plant that produces compact cars called the Echo. The company also sells 15 models that it imports from Japan. Toyota also has partnerships with there, FAW Group and Guangzhou Automobile. Toyota makes the Corolla sedan and sports utility vehicles with the China FAW Group in Changchun in Jilin Province. In September 2004, Toyota announced it would build Prius hybrid cars at with FAW in Changchun by the end of 2005 with parts imported from Japan. Toyota produces 3-liter gasoline engines with FAW group. Toyota began manufacturing Camrys in May 2006 with Guangzhou Automobile Group in China at a 225-acre site in Nasha Economic and Technological development Zone about 50 kilometers outside Guangzhou. Production and sales is scheduled to being in mid 2006, with production starting at 10,000 cars years and expanding to 250,000 cars a year. The factory will employ 3,000 people. The 10 affiliates with add about 7,000 jobs. A third plant opened in Tianjin in 2007 to make Corollas. Toyota produces 61,000 Camrys at its plant in Guangzhou in 2006 and hoped to produce 150,000 in 2007. Toyota also plans to produce 80,000 to 90,000 Yaris a year ay the same plant starting in 2008. Toyota sold 709,000 cars in China in 2009.